Top Irish Executives Honoured at Ardlinn Executive of the Month Awards. 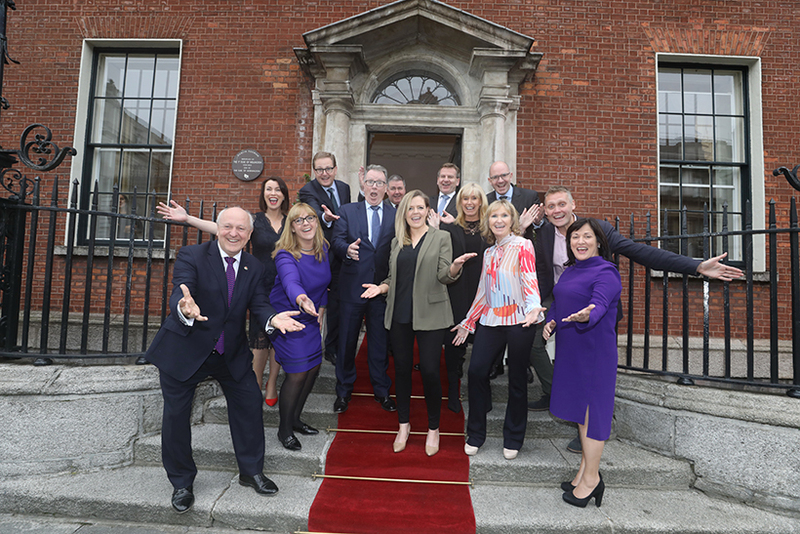 A select group of C-suite business leaders from a range of sectors were recognised this month at a special awards event held in Dublin. 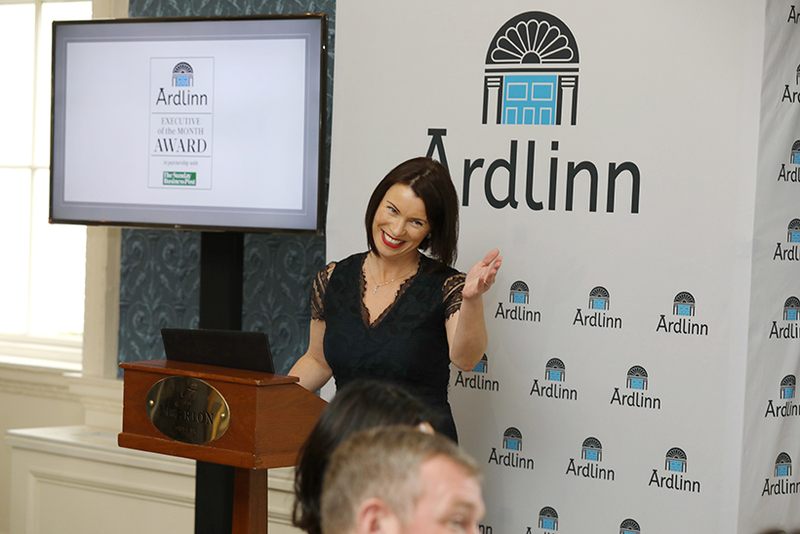 Ardlinn and the Sunday Business Post hosted a celebratory lunch at Dublin’s Merrion Hotel, to honour the 12 winners recognised in the inaugural Ardlinn Executive of the Month awards. Winners chosen from the technology, aviation, agri-food, hospitality, construction, legal and financial services sectors were all present at the event. Also in attendance was Áine Brolly founder and director of Ardlinn, IBEC chief executive Danny McCoy, who delivered the keynote address, and Anne Heraty, Chief Executive of Ardlinn’s parent company Cpl Resources Plc. Ardlinn is the executive search arm of Cpl Resources Plc and the first Cpl brand to focus solely on top salaried positions of €250,000-plus. 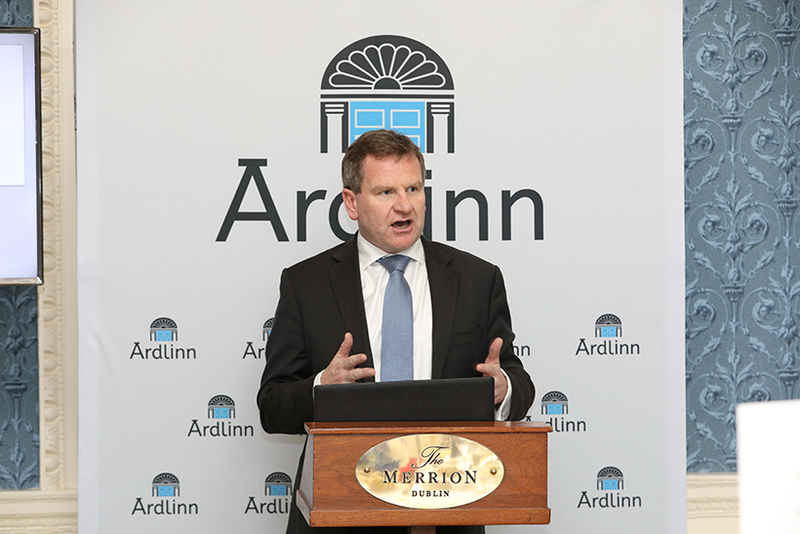 Ardlinn launched the Executive of the Month programme in November 2017 with the aim of recognising the role played by Ireland’s top executives in driving growth in the wider economy. “The process has proved to be a great success and we have been delighted with the awards, which provide a fitting recognition to many of our most influential Irish business leaders,” said Áine Brolly, founder and director of Ardlinn. Ardlinn was founded on the basis that the need to source, develop and access top C-level talent. The need for this has never been greater in Ireland. “As a nation, we are in the midst of prosperous and exciting, but ultimately precarious, times” said Brolly. 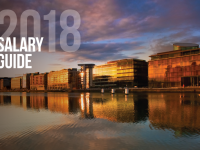 Winners chosen from the technology sector included Brendan Mooney, chief executive of Kainos Group Plc, the Belfast-headquartered digital giant employing 1,060 people in 13 offices worldwide, and Aisling Hassell, Airbnb’s Ireland Site Lead and Global Head of Community Support Operations. Since joining Airbnb in 2014, Hassell has seen staff numbers at the company rise from 600 to more than 3,000 globally. Fionnuala Meehan, Google Site Lead for Ireland, was recognised for her pivotal role in leading the growth of the tech giant’s Dublin campus, which now employs 7,000 people representing 70 nationalities. Also awarded was Alastair Blair, Country Managing Director at Accenture Ireland, the global management consulting and professional services firm employing 2,500 people in Ireland. In financial services, Carin Bryans, Senior Country Officer for JP Morgan in Ireland, was named The Ardlinn Sunday Business Post Executive of the Month in June. JP Morgan employs 480 people in Ireland across custody and fund services, investment banking, payments and treasury services. Fintech winner Darragh McCarthy is Founder and Chief Executive of FinTru, the Belfast-headquartered company providing regulatory resourcing services to investment banks and other financial institutions. Financial services firm FinTrU employs 270 people at three offices in Belfast and recently announced plans to create 605 new roles in Belfast and Derry/Londonderry. Siobhan Talbot, Group Managing Director of Glanbia plc, was recognised for her pivotal role in driving growth in Ireland’s agri-food sector. The global nutrition group has an annual turnover of €3.7 billion and employs 6,200 people in 32 countries. In hospitality, Pat McCann, Chief Executive of Dalata Group plc, was also awarded for his success in establishing and leading Ireland’s largest hotel group. Dalata employs 45,000 people across the Clayton and Maldron brands in Ireland and Britain, alongside a portfolio of partner properties. In aviation, AerCap CEO and executive director Aengus Kelly was recognised for his role in making the company a global leader in aircraft leasing and aviation finance, with more than 1,500 owned, managed or on-order aircraft in its portfolio. Michael Jackson, Managing Partner at law firm Matheson, was named The Ardlinn Sunday Business Post Executive of the Month in May in recognition of his role in the firm’s success. Matheson’s clients include more than half of the world’s 50 largest banks, seven of the world’s 10 largest asset managers and seven of the top 10 global technology brands. The October winner was Stephen Bowcott, CEO of John Sisk & Son. A fifth generation family business, Sisk employs 1,300 people across Ireland, Britain and mainland Europe. Martin Shanahan, chief executive of inward investment promotion agency IDA Ireland, was also recognised for his ongoing contribution to job creation in Ireland and his role in the development of enterprise and innovation policy. The Ardlinn Sunday Business Post Executive of the Month awards were adjudicated by Ardlinn and The Sunday Business Post with independent support from IBEC chief executive Danny McCoy, who played an instrumental role in the overall process. “It has been a pleasure to be involved in these awards, which recognise the very best in Irish business,” said McCoy. “The contribution made by the individual award winners and their respective businesses cannot be understated as we look towards another year of steady national economic growth. Brendan Mooney joined Kainos in 1989, having graduated from Ulster University with a degree in Computer Science and progressed through the ranks, taking on his current position at the company’s helm in 2001. He began his career at Kainos in technical roles before moving into presales and project management positions following a move to the company’s Dublin office in 1994. Six years later, he returned to Belfast to begin preparing for his current role as chief executive. Read Brendan’s interview. Hotels, before joining Jurys Hotel Group in 1989. He was appointed operations director and to the main board of Jury’s in 1994 and became Chief Executive of Jurys Doyle Hotel Group Plc in 2000. McCann established Dalata in June 2007, acquiring eleven leaseholds with investment from TVC Holdings plc and clients of Davy Property Holdings. Dalata floated on the Dublin and London Stock Exchanges in March 2014. Read Pat’s interview. Siobhan Talbot was appointed to the role of Group Managing Director of Glanbia plc in 2013. A native of Co. Kilkenny, she studied Commerce at University College Dublin and trained as an accountant with PwC, joining Waterford Foods in 1992 five years before it merged with Avonmore Creameries to form what would become Glanbia plc. Talbot became a member of the company’s Group Operating Executive in 2000 and was appointed to the role of Deputy Group Finance Director five years later. She was appointed to the role of Group Finance Director in 2009 and recently led negotiations to sell off a controlling stake in Glanbia’s dairy business to its largest shareholder, Glanbia Co-op, creating the joint venture Glanbia Ireland. Read Siobhan’s interview. Shanahan began his career with Fáilte Ireland, the national tourism development authority, in 1999. He joined Forfás in 2005 in the role of Divisional Manager and became Forfás CEO five years later, before taking up his current position in 2014. Shanahan led the Government’s Action Plan for Jobs 2011-2014 and is a board member of IDA Ireland and Chair of its Investment Committee. He is also a member of the National Competitiveness Council. Read Martin’s interview. Before joining Google in 2005, Fionnuala Meehan worked in director customer retention with AOL UK. She joined Google Ireland in 2005 as EMEA Shared Services Manager and was appointed Online Sales and Operations Manager in 2008 and Ad Ops Director for the EMEA in 2010. Meehan became Managing Director for SMB Sales in North and Central Europe two years later, followed by a two-year stint as Managing Director for SMB Sales in the EMEA region. Meehan was appointed to the dual roles of Google Site Lead for Ireland and Vice-President for Google Marketing Solutions, EMEA region, in October 2016. Read Fionnuala’s interview. Aengus Kelly is a chartered accountant and holds a Bachelor’s Degree in Commerce and a Master’s Degree in Accounting from University College Dublin. He worked for three years with KPMG in Dublin before beginning his career in the aviation leasing and financing business with Guinness Peat Aviation (GPA) in 1998. Prior to taking up his current position as Chief Executive of AerCap in May 2011, Kelly was Chief Executive of the company’s US operations for three years, following a three-year stint as Group Treasurer. Read Aengus’ interview. Michael Jackson joined Matheson in 1991 as a trainee after graduating from University College Cork with a Degree in Civil Law. Having started his career with the firm’s corporate department, he was appointed Asset Management and Investment Funds Partner in 2001 and became Managing Partner in October 2015. Read Michael’s interview. Alastair Blair joined Accenture in 1987 and has held numerous senior positions within the company with a particular focus on financial services. He has worked with major banks and financial services organisations in Ireland, Britain and the Middle East on strategic, communications, change management and execution initiatives. Blair is chair of Ibec’s Digital Economy Policy Committee and sits on Accenture’s UK and Ireland Executive Management Team. Read Alastair’s interview. Carin Bryans joined JP Morgan in 1990 and has held a number of positions with the company in Ireland, including head of operations and head of client services. She was appointed Senior Country Officer for JP Morgan in Ireland in 2010, with overall responsibility for the US bank’s businesses in Ireland. Bryans holds her Degree in Finance and International Business from The University of Texas in Austin and an MBA from The Michael Smurfit Graduate School of Business in Dublin. She sits on the board of the American Chamber of Commerce Ireland and is Chair of the IFSC Funds Group. Read Carin’s interview. Darragh McCarthy established FinTrU in 2013 following an 18-year career at Morgan Stanley in London, Frankfurt and New York. During his time with the US investment bank, McCarthy’s roles included Global COO for Institutional Securities, COO for EMEA, Head of Fixed Income Sales North America and Head of Fixed Income Sales EMEA. McCarthy founded FinTrU in response to rising demand among global investment banks for high-quality resources to navigate the increasingly complex regulatory landscape. He has a First Class Honours BComm International from the University College of Dublin. Read Darragh’s interview. A graduate of Trinity College Dublin, Aisling Hassell studied Mechanical Engineering before completing a Masters Degree in Fluid Dynamics. Before joining AirBnB in 2014, Hassell worked with cyber-security firm Symantec in Ireland and the US. She went on to work with Vodafone as Group Head of Customer Experience, and also with Sage, in the role of Director of Global Customer Experience and Web Strategy. Since joining Airbnb in 2014, Hassell has seen staff numbers at the company rise from 600 to more than 3,000 across 31 offices worldwide. Read Aisling’s interview. Stephen Bowcott was appointed CEO of John Sisk & Son in September 2015 following a four-decade long career in the construction sector in Britain. Before moving to Ireland, he worked for PLCs in the UK for 40 years, most recently as Chief Operating Officer and Board Member at Kier Group Plc. Bowcott joined Kier in 2007 as a Director of Kier Regional and was one of two Deputy Managing Directors and Chairman of Kier Scotland and Kier Northern. Before that, he led the construction division at AMEC Plc and was Managing Director of John Mowlem’s building division. Read Stephen’s interview. Read all 12 interviews with the Ardlinn Executive of the Month award winners in the Ardlinn Executive of the Month section of this website.